Gondwana Game Reserve is on a mission to reduce the number of plant species on the reserve that historically did not occur in the Western Cape. These plants are known as Invasive Alien Species (IAS), and they utilise far greater quantities of water than the indigenous fynbos vegetation, while also forming “green deserts” where no other indigenous biodiversity can exist. 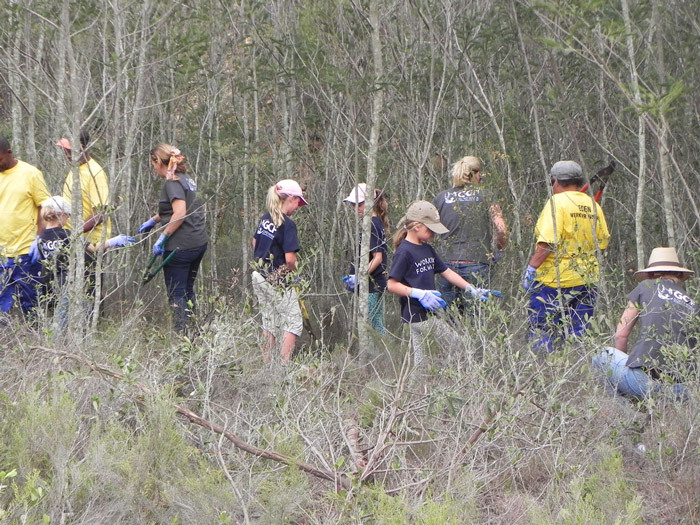 Gondwana has thus embarked on one of the largest full-scale IAS removal projects in the Southern Cape, with the main focus being to clear dense stands of black wattle (Acacia mearnsii). 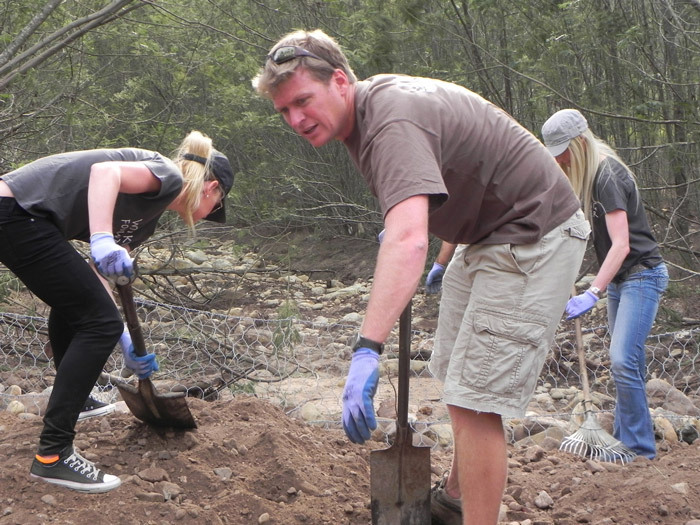 Gondwana is part of a three year eradication programme together with the Department of Environmental Affairs and Working for Water, and was awarded a government tender to employ 60 individuals from local communities on a permanent basis to focus on this conservation effort. This eradication will enhance the region’s biodiversity and water sustainability. Gondwana will be responsible for contributing 20% of the project funding for the three year period. This will also go towards supporting community based projects such as an NPO based in the nearby town of Herbertsdale which collects the biomass to be used as fuel to fire the kilns of a local clay pot company and empower unemployed locals. 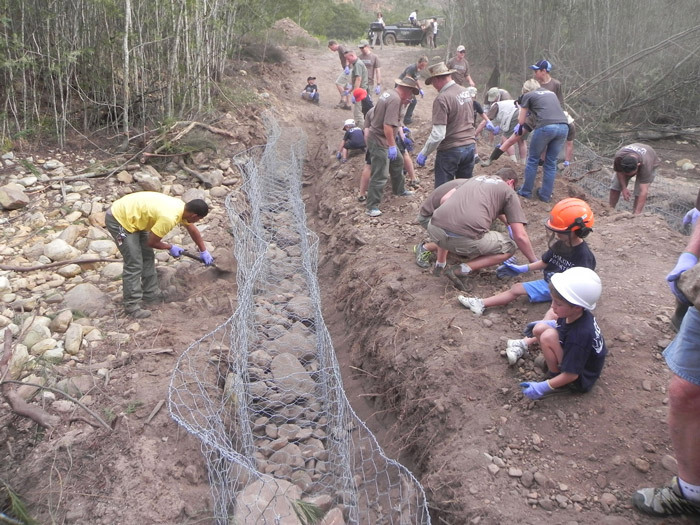 The project is comprised of private enterprise teams along with Working for Water teams, which are all overseen by Gondwana’s conservation department. The private enterprise teams not only clear vast areas of black wattle but also remove large quantities of heavy biomass that would otherwise create dangerous fire hazards. 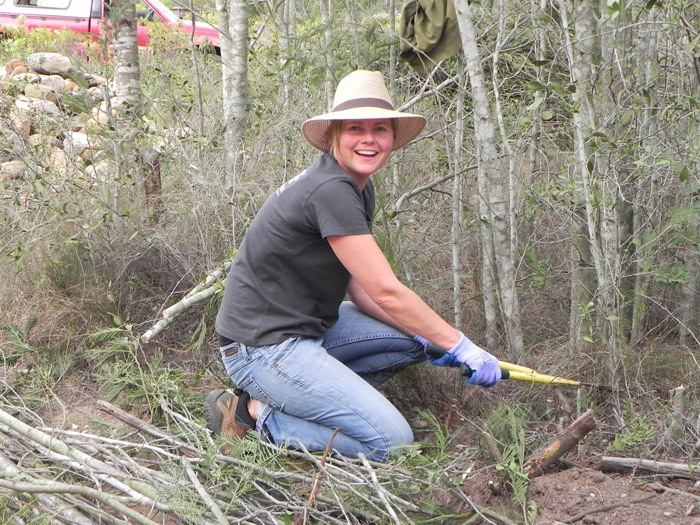 Meanwhile the Working for Water teams tackle more accessible stands of black wattle and stack the vegetation into neat brush piles. Only local contractors are employed by Working for Water, which means that the project not only conserves the environment but also plays an important role in alleviating poverty; ultimately improving lives in the area. Community empowerment and job creation is a key focus area for Gondwana, and by partnering with Working for Water, it has been able to provide employment to 62 more locals. To date 745.87 hectares of indigenous fynbos vegetation with any traces of black wattle, rooikraans and silky hakea have been completely cleared. This figure amazingly represents just 7% of the total surface area of the reserve, and a follow-up programme will ensure that regrowth is prevented. 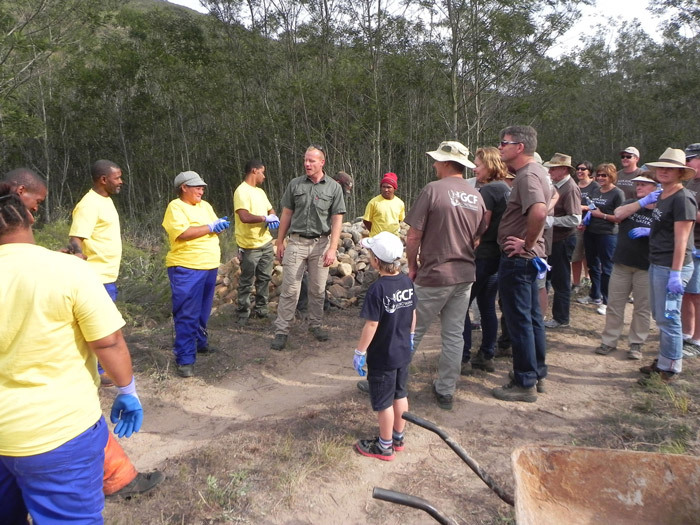 Gondwana’s private homeowner community also enthusiastically supports this initiative in their annual conservation weekend entitled “Throttle the Wattle”, whereby home owners, together with Working for Water teams, roll up their sleeves and cut wattle, take erosion control measures, and replant indigenous trees and fynbos in cleared areas. Their hard work is always rewarded with a brilliant bush braai afterwards. Gondwana is thrilled that the alien plants that once posed the largest environmental threat to the reserve have now become one of the largest employment opportunities in the region. Set on 11, 000 hectares, Gondwana is the only Fynbos reserve in the world with free roaming Big 5 species. Luxury accommodation in Kwena Lodge or private bush villas ideal for families while an enriching junior ranger experience for children is also offered. 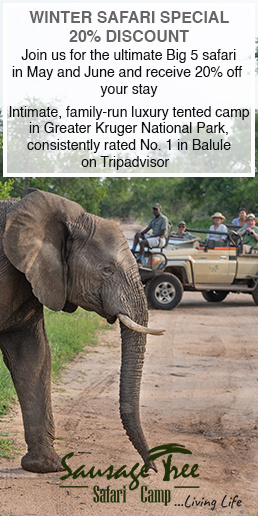 Enjoy exhilarating game drives in a spectacular landscape with expert field guides. 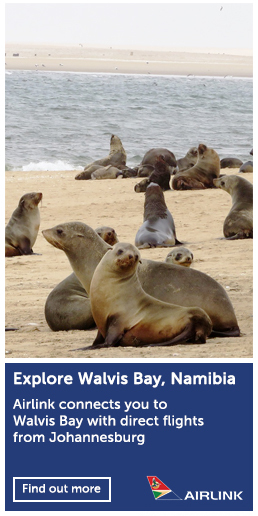 Accessibly located only 4 hours from Cape Town and 45 minutes from George Airport. ‹ Run bat-eared fox, run!